Bless your little brother on Raksha Bandhan, from miles away with this Rakhi with Stunning Work for Bhaiya Bhabhi embellished with a Rakhi, Roli Tilak and Chawal free of cost. 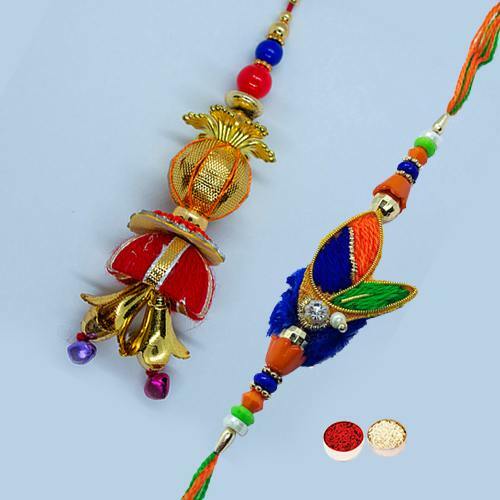 This Rakhi Set is decorated with beads, stones etc and is charmingly gift wrapped. There are diversification in the designs.